Bella ran through the trees, still finding it stunning at how everything looked so different. She stopped when she reached the edge of the trees and looked around her. She had unknowingly traveled to the meadow where Edward had taken her and she had first told him she knew what he was. So much had changed since then. 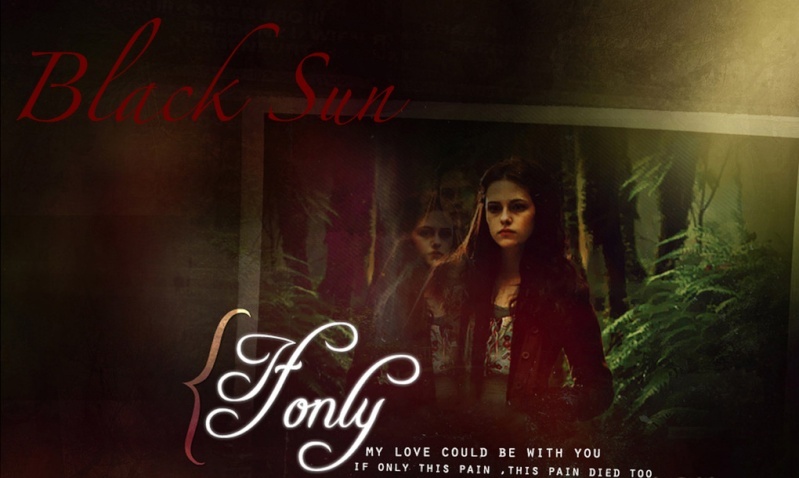 She was now a vampire herself and she was no longer with Edward... It wasn't as if she hadn't wanted to be a vampire but she would not have thought it would come about in this way. She stepped out of the rim of trees and looked around her; it was similar to that day so many months ago. The sun was filtering down between the trees and the grass was as green as ever, as was everything else. Taking another small step, Bella emerged into the sunlight. Instantly her skin became covered in little diamonds, catching the sunlight and throwing te effect around the trees. Bella took in a quick breath at the sight; she never quite got used to the beauty of it all. Taking her eyes away from her skin, she sat down on the grass and began to think about her family. The day when Victoria and James had attacked and she had gotten bitten, the Cullens had told Charlie that she was going to be staying with them for a few days. When Bella had awaken a vampire, she found the craving to be overwhelming but soon controlled.. then they had a surprise visit from Charlie. The Cullens, especially Jasper were scared that she, Bella, might attack Charlie, plus the fact that she looked much different, they at first wouldnt' let Charlie in. 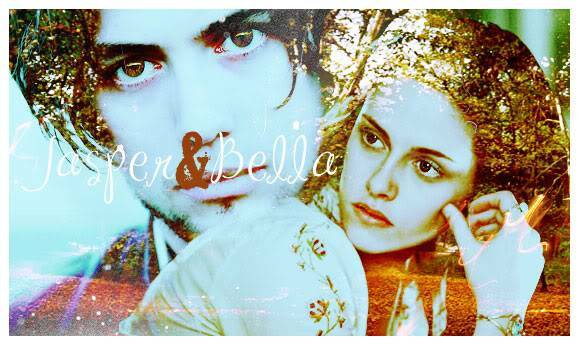 But Bella insisted that she was fine and with Jasper at her side to keep her calm she approached her father. To say Charlie was stunned would be an understatement. He just about fell over when he saw the new Bella. And at first she had wanted to lunge at him and take in his warm pulsing blood. Charlie went into a rage, demanding to know what was going on and why Bella looked so sickly, yet so..different. He was refering to her new beauty. The Cullens had all exchanged worried glances but Alice had nodded as if to let them know everything would work out fine. They knew it was dangerous to tell Charlie; the Volturi were already keeping an eye on all of them due to the fact of the Nomads. But Charlie had a right no know. So they told him; he was shocked to say the least and he kept looking at Bella as if to make sure it was all the truth. There was no denying that Bella had changed. It had been weeks since then and Charlie was doing lots better with the fact. Bella was able to visit him, but it was hard to avoid any of her class-mates. They would certainly want to know what was with her. She sighed as she lay down in the grass and looked up at the sky. She missed talking to her friends, even if she had barely knew them or talked to them that much anyway, but maybe one day she would be able to see them and not have to worry about her appearance. Just then her sensitive ears caught the sound of someone approaching, Bella sat up and looked toward the trees to see if she could catch a glimspe of who it was.